Warming Trend through Thursday then a bit cooler over the weekend…..Odds increasing for an extended stormy pattern beginning around the Thanksgiving Holiday with possible significant Storm Cycle…….Current Wx Charts showing long awaited coast to coast Subtropical-Jet ported to west coast…. This is going to be one very interesting Thanksgiving holiday for travelers over many parts of California and Nevada……. Forecast Models continue the trend of taking the cold core low inland with much less over water trajectory. Great pattern for cold…..Not all that good for snowfall. However we will still get light amounts, even with this pattern suggested. We are still 4+days away from the weather system and plenty of Ensembles that would challenge this track. However, you can not ignore the fact that the GEM, EC and GFS are saying the same thing. Will Update in the morning…. New 12Z GFS is definitely drier/Colder and further inland this morning. A jog of 100 miles either way makes a big difference in this pattern. Still have lots of time to resolve but this latest run would give Mammoth only light amounts for the Wednesday/Thursday period. However!!! Any snow that falls between Tuesday night through Wednesday will be at least at 15:1…..
As mentioned…..there is lots of time for the upper center to dig another 100 miles further west. What is really interesting are the 500mb temps in the cold core over Oregon. -35C to -37C…baby that’s cold!! You all might want to dig out your long undies for mid-week next week…..
00Z Thursday’s GFS has come in a bit further west than the 18Z run… QPF just west of the Mammoth Crest is about 2.00 for the Tuesday through Thursday afternoon time frame. 06z GFS looks awesome with series of storms that last for a week or two….. In the Subtropics…..The Northern Hemispheric Pattern has coupled with El Nino with strong enhanced subtropical jet shore to shore across the pacific. The Stage is set……Get ready! The first in the series of storms to begin sometime first half of next week….Will fine tune a little later this week….. Follow up on the record 3C in the Nino 3.4 Basin. I attended todays CPC webinar and learned that the warming to +3C in the Nino Basin occurred because of a large area of subsidence in that region last week, VS a rise in the warmer water beneath the ocean surface. They indicated that the probable cause was either a Rossby Wave over the Maritime Continent or KV over that same area. That would result in increased convection and thus destructive interference with the EL Nino Base state. 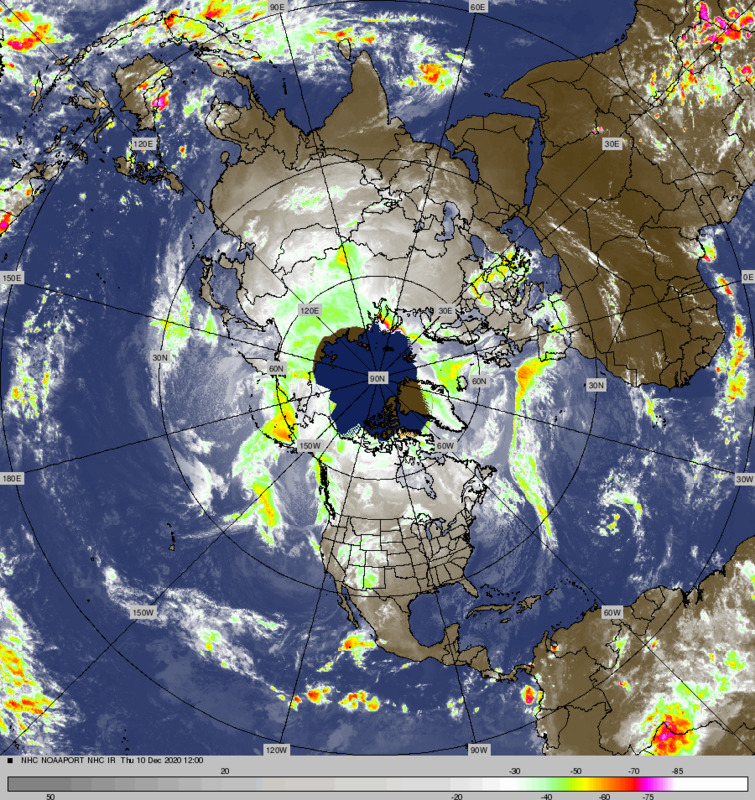 Convection over the Maritime Continent suppresses convection over the Nino Basin. Remember the hemisphere has to be in balance. So on a Hemispheric scale, if you increase large scale convection in one area you get suppressed convection in another area. This suppressed convection over the Nino 3 and 3.4 region allowed for more sunshine and thus more warming of the tropical pacific. Today the convection is diminishing over the Maritime Continent and convection is increasing over the Nino Basin. So do not be surprised if that Nino 3 or 3.4 area of record 3C cools a tad in the next week or two. Flat ridging will develop over the next few days allowing high temperatures in Mammoth to reach the mid 50s in town by Thursday and Friday. Most of California will remain under the canopy of this ridge that is currently some 1400 mi west of the Sierra Crest and progressing to about 130west the next 48 hours. Lows at night moderate up into the 20s this week….In that the upper ridge is currently not parked close to the west coast, there will be some high clouds that will “overrun” the ridge into California at times. The aforementioned ridge off shore will weaken west of California and redevelop (retrograde) west of 140 west. A weak short wave will set up a small scale westerly flow Saturday with partly cloudy sky’s and some upper elevation wind as well. There is some suggestion that this positive tilt Trof will morph into a close low by Sunday, with a slight chance of showers. However, the prospects for any precipitation this weekend at this time is only about 10%. Temperatures will cool into the low 50s during the daytime and lows at night will be in the 20s. Next Week: Based upon one deterministic run….just for fun!…. This is where the pattern get interesting. Looking today 12Z GFS; Amplification of the westerlies takes place further west as a larger scale upper ridge progresses east north of Hawaiian Islands. As the Upper Height anomaly moves through the Aleutian Islands, a new upper trof develops over the Eastern Gulf of AK taping cold Canadian air from BC as it continues to develop off the BC,CAN coast. At the same time, the developing trof off the CA coast from the weekend gets kicked into CA Monday, juicing the air-mass over the state and increases the chance of showers Monday PM and Tuesday. The Upper low off the BC, Coast digs south early next week and becomes the main weather story for California, Tuesday into Early Thanksgiving Day. Remember, this is only one solution, but the Dweebs believe that next week has the potential to be quite stormy. The Dweebs are waiting for the ECMWF to develop its own scenario which at this particular time, it has yet to do. The week two period looks very interesting. It begins to show more of the Classic (-TNH teleconnection pattern) with an elongated east-west block across latitude’s 60 North to +70 North west from 110W to beyond the Date-Line while the East Asian jet extends across the pacific and ports into the Golden State about Months End. This is more of what the Dweebs would expect from a significant warm event such as the one we currently are in. The storm track is being suppressed beneath the block from the upper latts of NE Asian then tracking SE into the mid-latitudes. There will be interruption’s of the Upper Jet at times. However, the awesome power and temperature gradient caused from the displaced heating from the West Pac to the Eastern tropical pacific should flush any short-term blocking down steam…..El Nino style! or……Being that the upper Jet leaves the Asian coast near Korea…Should not we call it Gangnam Style? Storm System slowing this evening as it begins to stretch and split a bit……Snowfall to be delayed until late morning or mid-day at the latest….. There was some media Hype today in the news about the Godzilla El Nino. Although it is true that in the part of the NINO BASIN…. Nino 3 and Nino 3.4, the SSTA has reach +3.0C. However, it has only been there for a week. Now looking at the recharge from the past Kelvin Wave at 150M below the surface, the budge of warm water is fat and sassy! Odds are, that the Nino Basin in this area will most likely maintain that kind of heat at the surface or even get slightly warmer the next few weeks. Remember that model from NASA actually did forecast the +3.0C temperature anomaly for November, which a lot of science folks Poo Pooed and for good reason. Because of its rarity. But it is here now! It will be interesting to see how long this can keep up in this area. Will it be a few weeks, a month or ?? The negative phase of the TNH pattern is often observed during December and January when Pacific warm (ENSO) episode conditions are present. One example of this is the 1994/95 winter season, when mature pacific warm episode conditions and a strong negative phase of the TNH pattern were present. During this period, the mean Hudson Bay trough was much weaker than normal and shifted northeastward toward the Labrador Sea. Additionally, the Pacific jet stream was much stronger than normal and shifted southward to central California, well south of its climatological mean position in the Pacific Northwest. This flow pattern brought well above-normal temperatures to eastern North America and above-normal rainfall to the southwestern United States. 130knot….. north/south orientated upper jet over the top of us…..translating east…. It is Windy today over the upper elevations and there is a wind chill factor for skiers and boarders…. Highs today in the teens on the mountain……Upper 20s in town. Expect less upper level wind tomorrow and much less on Wednesday. Lows at night are in the teens but will climb to the 20s by mid-week. Expect temps to become inverted again by mid week..
After today it will be a dry week with temperatures at resort levels returning to the 50s by Wednesday or Thursday. The next possible stormy period will be next week toward mid week…..around the Thanksgiving holiday..
Expect More detailed WX discussion later this week…..
Just a quick update this evening to indicate that the off shore weather system is slowing and may not begin the snowfall in Mammoth until between 10:00am and Noon…..a lot of the energy will be diving south in this system. At this time the Town of Mammoth is still expected to get between 3 and 6 inches of snow with amounts between 6 and 12 inches on Mammoth Mountain. As a note, weather systems like this have less confidence for the forecaster as the QPF is more iffy. 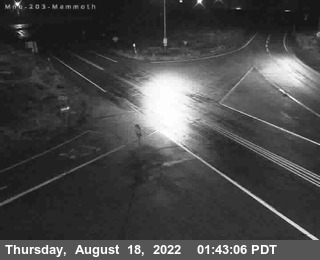 Nevertheless, the Dweebs at this point are holding on to the 3 to 6 inches forecast for the Town of Mammoth with roughly double up on the hill by Monday AM. Lows Sunday night in the single digits and teens…………….